Most of us know Aesop’s fable of the Hare and the Tortoise with its underlying premise of slow and steady triumphing over undisciplined speed. But, I wonder if that is really the best lesson in today’s chaotic world. Perhaps the snail’s adaptability offers a better analogy for navigating life’s twists and turns. For example, the race between the Hare and the Tortoise was based on one objective: who could get from point A to point B the quickest. What Aesop failed to factor in were life’s obstacles. Perhaps, with a different opponent and racecourse, the outcome and lesson would be different. So, here’s the purple snail’s version of Aesop’s fable. 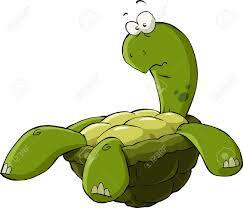 One day the Tortoise was bragging about his size and strength, making fun of the Snail for being so slow and small. “You are small and slimy and only have one foot. Do you ever get anywhere?” the Tortoise asked with a mocking laugh. The Tortoise was much amused at the idea of running a race with the Snail, but for the fun of the thing he agreed. So the Fox, who had consented to act as judge, marked the distance and started the runners off. 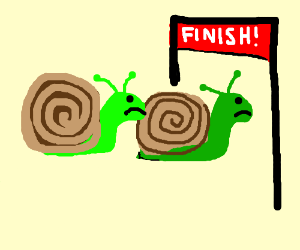 The Tortoise was soon out of sight, and to make the Snail feel very deeply how ridiculous it was for a small snail to win a race with a large Tortoise, he lay down beside the course to take a nap until the Snail should catch up. The race is not always based on speed and strength; sometimes the most adaptable wins.